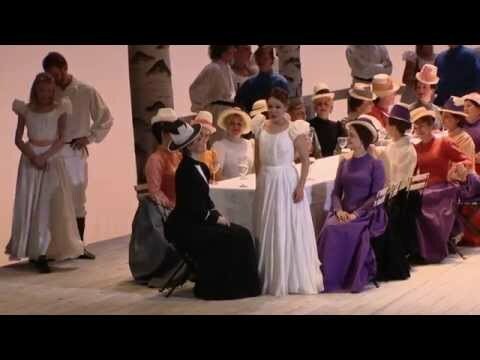 The Giulietta of Uliana Alexyuk already has her made performance in the first scene with the romance “Oh! Quante volte” – the hit aria of the opera, in duet with the harp, Alexyuk succeeds in a weightless lyric and yet longing way. Alexyuk also plays her part completely and sings it with wonderful piani and bewitching sound; her voice expresses purity, fragility and innocence. The duets – breathtaking, intimate melody, in the death scene it was yesterday utter stillness in the audience. For both main actresses, the many BRAVAS were highly earned.